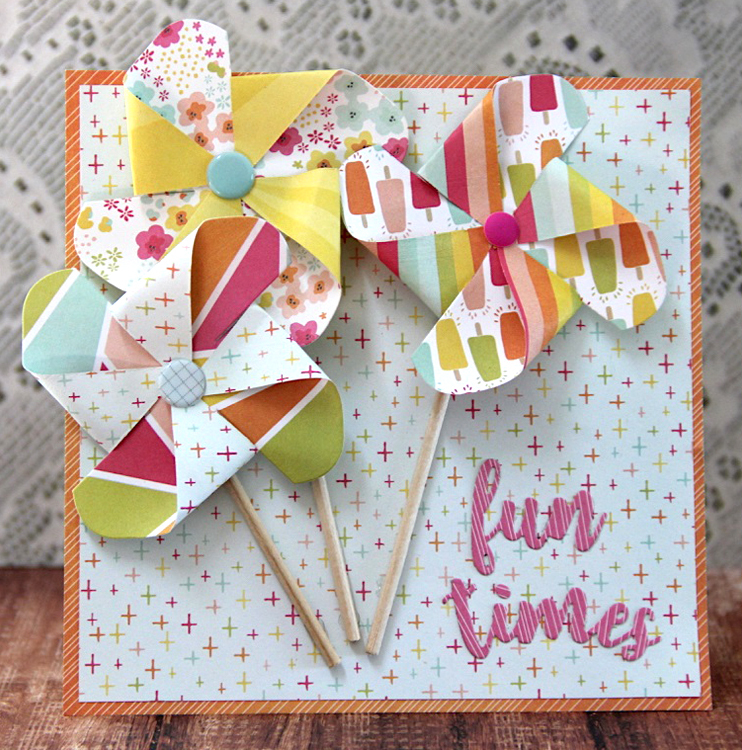 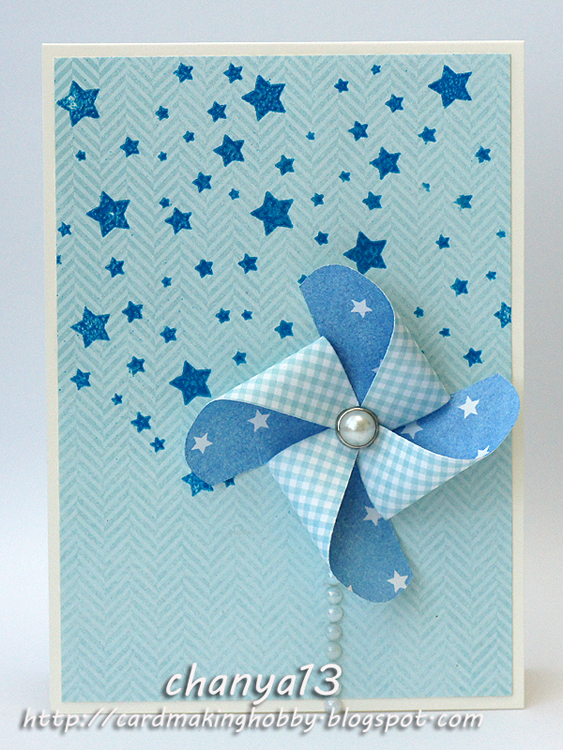 Super fun for dimensional cards, the pinwheel die creates a pinwheel measuring 2.8" x 2.8". 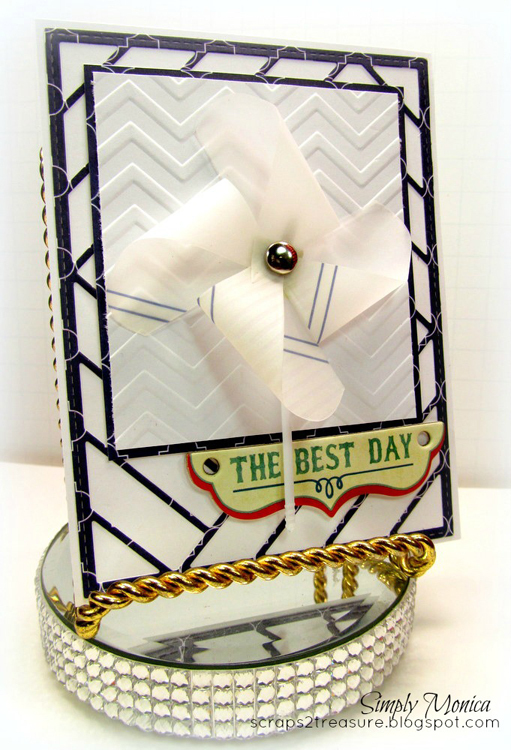 All cuts are made for you. 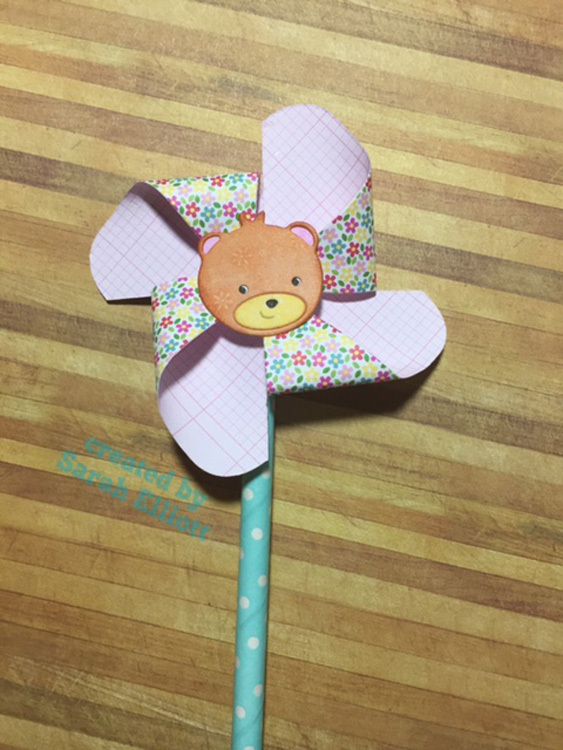 Simply fold the flaps over and insert a brad into all the holes at the points and center of the pinwheel. 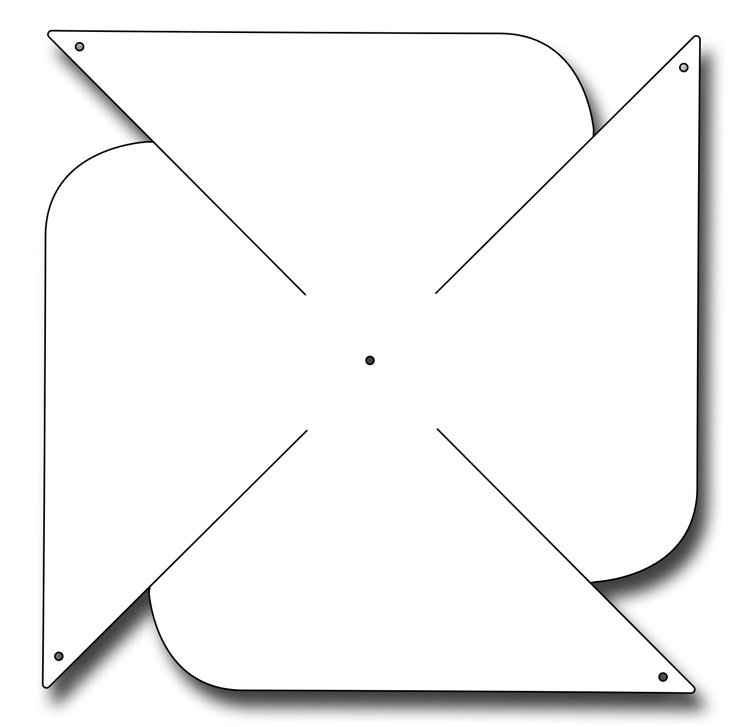 Add a decorative center if you wish.